CHIHUAHUA IS A BIG LITTLE DOG! The Chihuahua is a mighty little dog! It is composed of both long coat and short coat varieties. I used to own one of them up in Ohio and Tico was a sweet little dog. After working with many of them in hospitals, the long coat chihuahua has a calmer personality than the short coat version. That is not to say vice versa is true but the more tranquil personality trait of the long coat is noticeable. Both are spunky little dogs that, even with their pint size stature, will take on dogs much bigger than they are. This can obviously get them into trouble with a bigger dog! The Chihuahua is a big hearted little dog. Veterinarians usually like to call Chihuahuas, and a lot of the toy breeds, “Velcro Pets”. This means that they love to be carried around all day stuck to their owners like Velcro attaches to its surface! They would be content sitting in an owner’s lap all day and because of that trait make excellent pets for seniors. At the same time that shrill bark makes them a great little guard dog. Chihuahuas are very portable. They can be tucked into little soft sided travel bags and be taken anywhere; be it on a jet airliner or to the local supermarket. Many toy breeds, including the Chihuahua are brought into clinics in strollers that could easily transport a child! One habit of the breed is that they love to burrow into their sleeping quarters and be surrounded by the bed. Prospective owners should get a deep small bed that the animal can snuggle into. 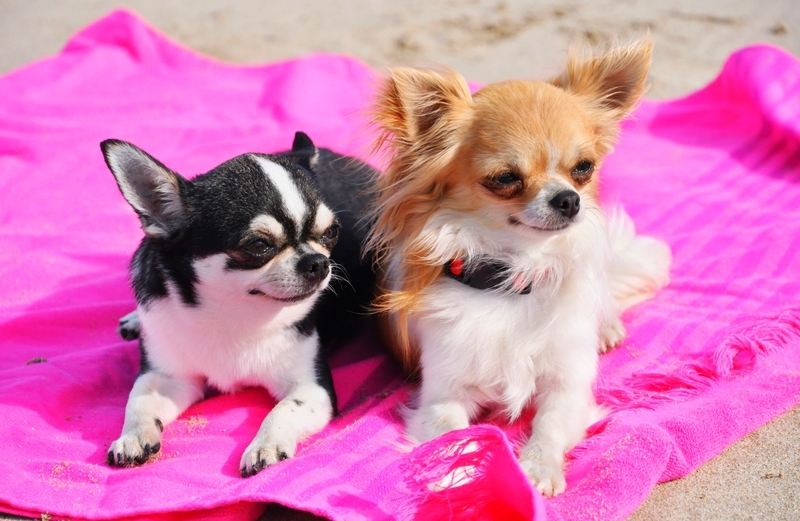 The Chihuahua is a one person dog that prefers one person over everyone else in the family. This breed is not good for people with young children. Unless supervised constantly, which is impossible, the young toddler could easily hurt the dog by dropping it. They are fragile little dogs.